The following sample prices are for standard specifications; you may (of course) also order other sizes or power ratings at series prices! The power rating limit of centre potted transformers is 1500VA. 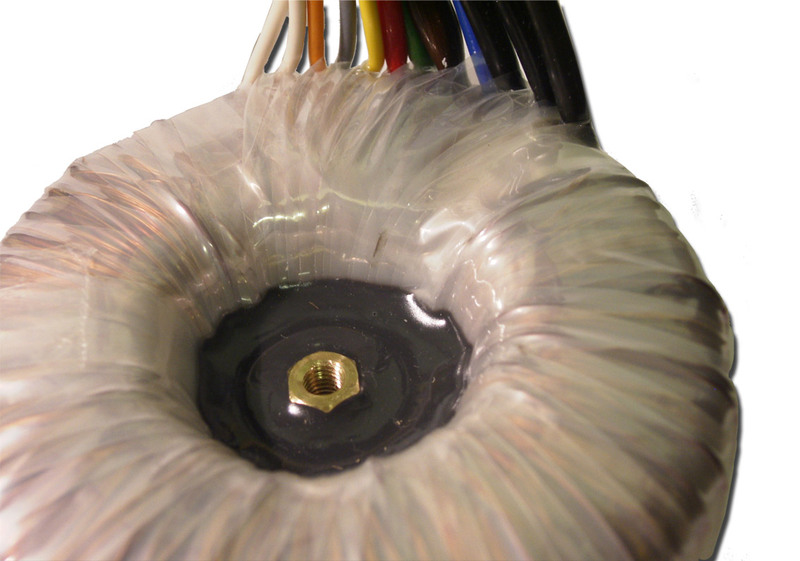 The minimum order amount for toroidal transformers is €30.00 net. Sample prices for 1x primary coil, 2x identical secondary coils up to 100V. Delivered with 1x mounting plate and 2x rubber pads. A threaded mounting insert may be provided for a nominal surcharge. Please note: Only examples! We manufacture to your specification*, e.g. 58 VA, 212 VA, 676 VA, and many more. We sell solely to business customers and public institutions. Prices plus VAT and delivery costs.